Following is a chronological list of the best available commercial recordings of Handel's oratorios, serenatas, anthems and masques, with links to Amazon listings, reviews, and record companies. Mozart's reorchestrations of Acis & Galatea, the Ode for St. Cecilia's Day, Alexander's Feast and Messiah are on a separate page. For European off-the-air recordings, some of which are superior to any available commercial recordings of certain works, see the Handel listings by the Classical Music and Opera Exchange. See my ongoing review of The Story of "A" by Bruce Haynes for the author's conclusions about the performance pitch of Handel's oratorios. 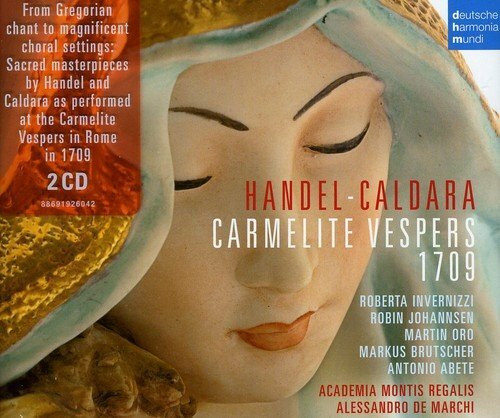 Similar NewOlde.com pages: Handel operas | Handel pasticci | Handel cantatas. Early Music's Dramatic Significance in Handel's Saul, by Ruth Smith. Early Music 35(2): 173-190 (2007). Text and English translation of the Brockes Passion HWV 48. Handel. La Resurrezione. (HWV 47, Rome 1708). Fra Bernardo (2 CDs, forthcoming). Details. Roberto Zarpellon, Orchestra Stella Matutina. Angelo: Sonia Tedla, soprano; Maddalena: Francesca Lombardi Mazzulli, soprano; Cleofe: Elena Biscuola, contralto; San Giovanni: Jan Petrika, tenor; Lucifero: Mauro Borgioni, bass. Handel. 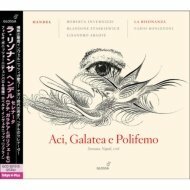 Acis & Galatea (Expanded English/Italian version, HWV 49b, London 1732). In the planning stages. Acis (originally Senesino): Lawrence Zazzo, countertenor. Review of the Decca DVD of Semele. Handel. Jephtha. (HWV 70, London 1752). 2003 Göttingen Handel Festival production. Nicholas McGegan, The English Concert, Winchester Cathedral Choir. John Mark Ainsley, Dominique Labelle, Wilke te Brummelstroete, Franz Vitzthum, William Berger, Netta Or. Available from the German Handel Society.